In the end, that the Braves first overcame and then pulled away from the Phillies should not have been much of a shock. Atlanta has played far better baseball all season long. My first MLB Power Ranking back on July 1 had the Braves as baseball’s fourth best team, second in the National League, while the Phillies were 23rd. While the Phillies would get as high as 16th, the Braves never dropped lower than 6th overall. Those rankings consider not only the team’s win-loss record, but also their performances on offense, defense, and on the mound. The Braves now hold a 9.5 game lead in the standings on the Phillies, who are in danger of being passed by the Washington Nationals for second place. A position-by-position comparison of the regulars for the two teams reveals that the Braves are simply a more talented ball club. In most cases they are also younger, showing that the Phillies rivals won’t be going away soon. The Phillies are appreciably younger only at catcher and in right field. They are better behind the plate if Ramos is the Phillies catcher, even though Hoskins (with the bat only) and Quinn keep the Phillies competitive at their positions. On the mound, 25-year-old Aaron Nola gives the Phillies the best starting pitcher in either rotation. However, Braves top starter Mike Foltynewicz (26) is pretty darned close. Atlanta’s Anibal Sanchez (34) out-pitched the Phillies Jake Arrieta (32) as the aging veterans in each rotation this year. The Braves have a veritable parade of starting pitching options with a wide range of experience including Julio Teheran(27), Kevin Gausman (27), Sean Newcomb (25), Max Fried (24), Touki Toussaint (22), Kyle Wright (22), Luiz Gohara(22), Mike Soroka (21), Bryse Wilson (20), and Ian Anderson (20). It’s an embarrassment of riches that the Phillies group of Vince Velasquez (26), Nick Pivetta (25), Zach Eflin (24), Jerad Eickhoff (28), Ranger Suarez (23), Enyel De Los Santos (22) may have a hard time matching up against. Even if the Phillies accelerate the development of top pitching prospects Sixto Sanchez (20) and Adonis Medina (21), something they never do, the depth and quality in Atlanta looks better. In the bullpen the Braves have an excellent combination of righty Arodys Vizcaino (27) and lefty A.J. Minter (25) leading a solid group where most of the arms are still in their 20’s. That group includes a former Phillies top pitching prospect and Philly native in 26-year-old lefty Jesse Biddle. The Phillies pen has some exciting young arms in Seranthony Dominguez (23), Victor Arano (23), Edubray Ramos (25), and Austin Davis (25). Veterans Pat Neshek (38), Tommy Hunter (32), and Adam Morgan (28) give the Phillies a chance to have at least as good a bullpen as Atlanta moving forward. Considering their advantages across the lineup and the ages of their talent among their position players and pitchers, how can we expect the Phillies to compete with the Braves in the coming years? The biggest reason is one of the oldest: money. The Phillies have the financial ability to out-spend Atlanta in the coming years. They also have a controlling owner in John Middleton who is not only willing to spend, but who is also extremely desirous to spend what it takes to make the Phillies a legitimate contender once again. The Phillies have the money, the incentive, and the lineup positional needs to go hard after the two biggest free agent bats this coming off-season in shortstop Manny Machado and right fielder Bryce Harper. They could also spring for a big free agent starting pitcher such as Patrick Corbin, Dallas Keuchel, J.A. Happ, or Gio Gonzalez. That might allow them to shift Velasquez to the bullpen as another late inning weapon. Though the 2018 season is ending in disappointing fashion for the Phillies, the fact is that it was a definite step forward. After five years finishing near the bottom of Major League Baseball, the club will finish near the .500 mark. They will also have gained some valuable experience in a playoff battle that came down to the final weeks. The challenge that the Braves will present over the next few years is very real. In order to match or beat them, the Phillies are going to need their own young talented players and prospects to continue developing. But they are also going to need to open their wallets and push aggressively for the top free agents. Win the financial battle in the front office, and they can overcome the Braves own bright future on the field. 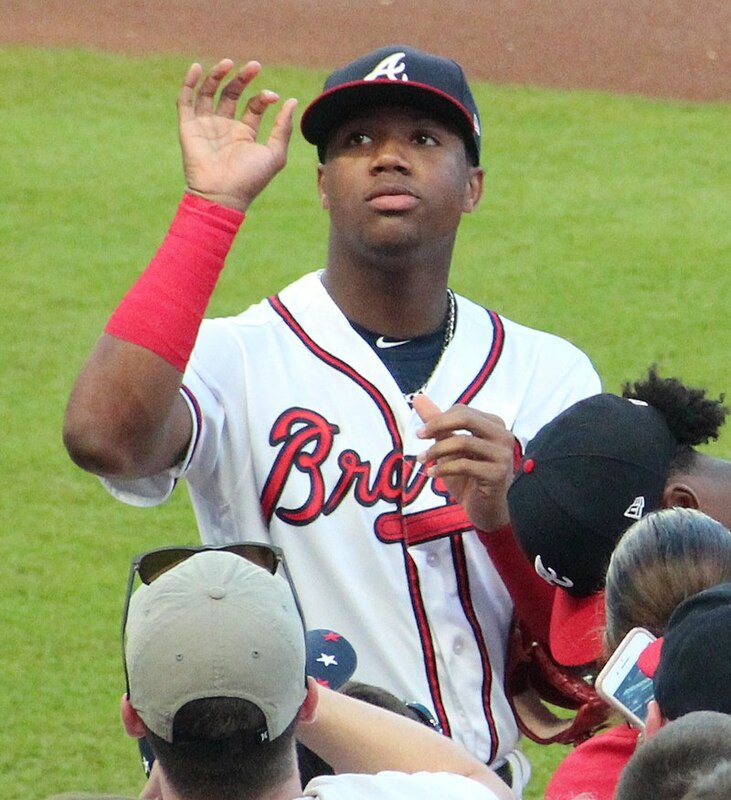 Originally published at Phillies Nation as "Braves future looks brighter, but Phillies can catch up fast"